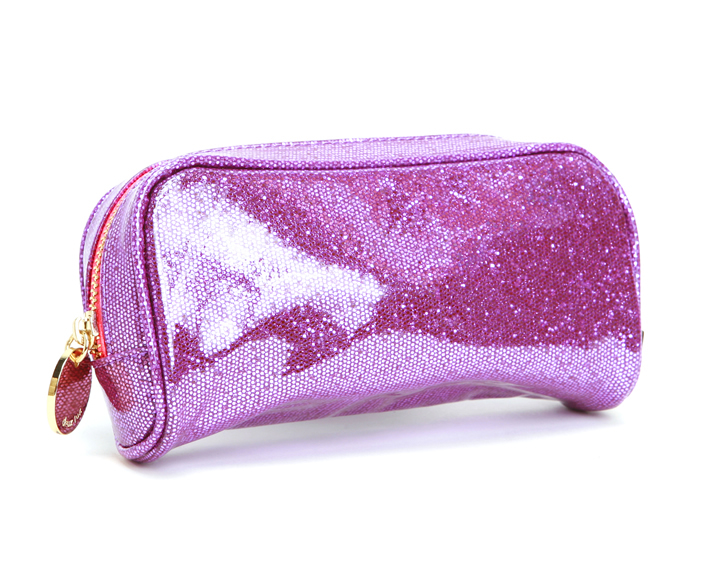 Add this glitter brush case to your collection for the perfect amount of sparkle! Its roomy interior can comfortably house your small necessities without overcrowding. Includes satin polyester lining with a zipper closure. 8" x 2" x 4"